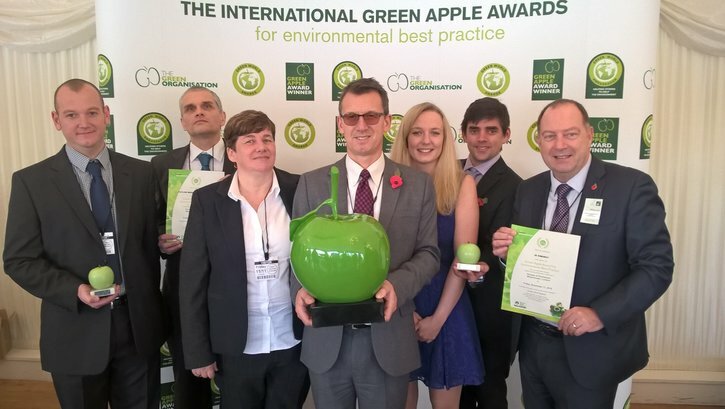 Last week saw The Green Organisation’s Awards for Environmental Best Practice take place at the House of Commons, where two Taylor Woodrow projects picked up Silver Awards. Tottenham Court Road’s submission was based on a range of factors including noise management, waste management, training, procurement and sustainability. Some highlights in this year's submission were the role out of the 'Environmental Hazard Spotting Game', Energy Savings Opportunity Scheme compliance, and a rooftop garden green initiative. Old Oak Common (pictured) entered the awards with their hybrid renewable energy system. The system is expected to significantly reduce CO2 production and operational costs on the project. It is innovative in being a renewable systems design that fully integrates separate systems to provide a single energy solution, and will enable the site to exceed planning requirements for CO2 and renewable energy. Congratulations to both projects for this fantastic achievement.